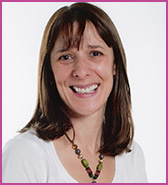 Rachel has extensive experience of teaching across the primary age range and of leading Literacy in schools. She is currently teaching the nursery class in a primary school setting. Prior to having her own children, Rachel worked for City of York as one of their Language, Literacy and Learning consultants, but since moving to Oxfordshire she has been back in the classroom focusing on leading-edge practice. Rachel is passionate about developing every child's unique capabilities to learn to read and write. She has been working closely with Debbie for four years - suggesting resource designs, trialling various materials in her own school and delivering training to others.